Kids love to help and they love to help with everything, well almost everything. And especially if it has to do with their dogs. They love to take care of their pets: walk them, wash them etc. And of course they will not do a good job with everything, but you have to let them try since they are learning. Of course, you have to be right there in case something goes not as planned. 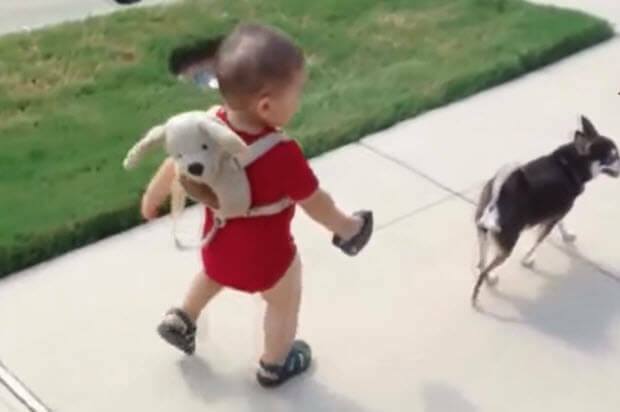 I wouldn’t let a baby walk a big dog especially if there is a risk of a dog running after the cat, or something else that will trigger the dog to run and pull the kid with him, so whatever you do please exercise caution. Adorable! 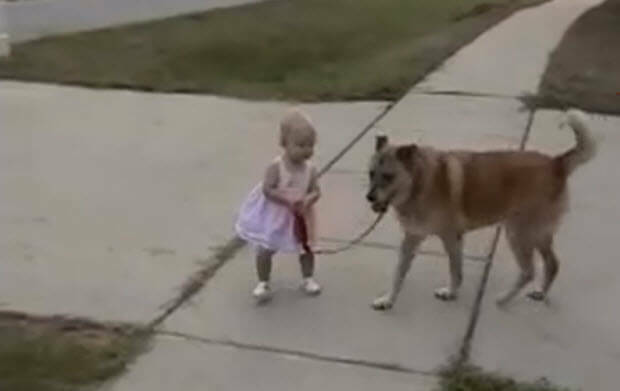 Who is walking whom? 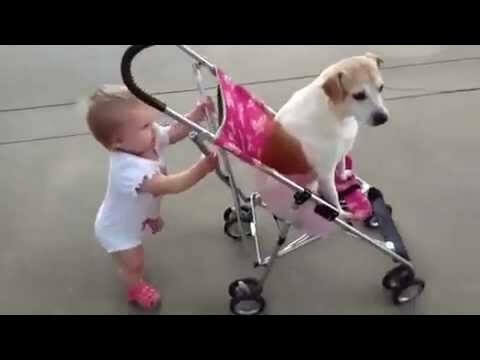 Little helper learning how to walk a dog. And just look at that back pack on the back of this baby!